Looking for Wooden Garage Doors on your Bridgwater home? We love wooden garage doors, they offer a real touch of class to any Bridgwater property. As the garage door manufactures have improved their style and designs of garage doors having a workable real wood garage door is a great choice for many of the homes around Bridgwater and the South West. With a the use of a natural material on the outside of your home, it is important to discuss all options available from a well respected and experience garage door company. Time spent at the deciding stage will ensure you've not left with having to replace your door within the first couple of years. With over 30 years experience our customer tell use we are the "Leading Garage Door Company for the Devon and the South West", whilst great feedback, we pride ourselves of delivering only the best service and reliability you would expect from a local family business. What are Wooden Garage Door Prices? All wooden doors come at a price, however in our experience often the costs involve vary greatly on a number of facts - from the amount of doors you require, size of garage front, style of door and garage door opening mechanism all have a part to play. 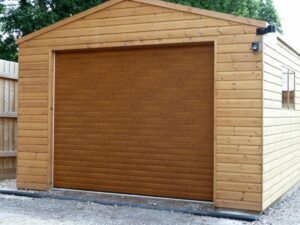 To really get the best price for your wooden garage door call one of our helpful team now 01823 729672. Choosing A and A Garage Doors for your door can save £100's as the largest independent garage door company in Bridgwater we are pleased to be able to offer our doors at very competitive rates including the fitting of your garage door. Will a Timber Garage Door be right for your Bridgwater Property? Choosing the right garage door for your home in our view is an important decision and whilst costs will always be a factor, it is one we would welcome the chance to help you understand your choices. For some customers having a real timber garage door is the final part to complete the final look to their home and can create massive kerb appeal. 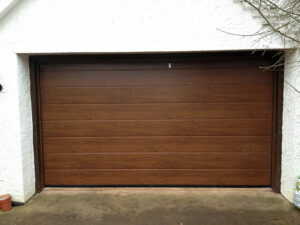 However some consider the level of maintenance and treatments on the door is too much for them, for these customer we have some amazing alternative wood effect garage doors that look like the real thing but offer low maintenance and lightweight solutions. 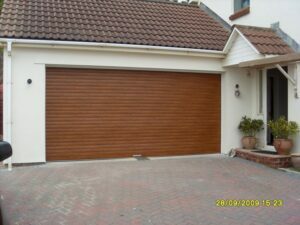 Why not automate your Timber garage door with A&A Garage Doors. This really finishes off your door and using the latest technology to more than open and close your garage to include gated entry systems, return home lighting and security activations. We can ensure you get the correct electric operator for your garage door, either new or existing. Call to find out more about our automatic timber garage doors 01823 729672. Still not sure which type of garage door is best for your Bridgwater home?